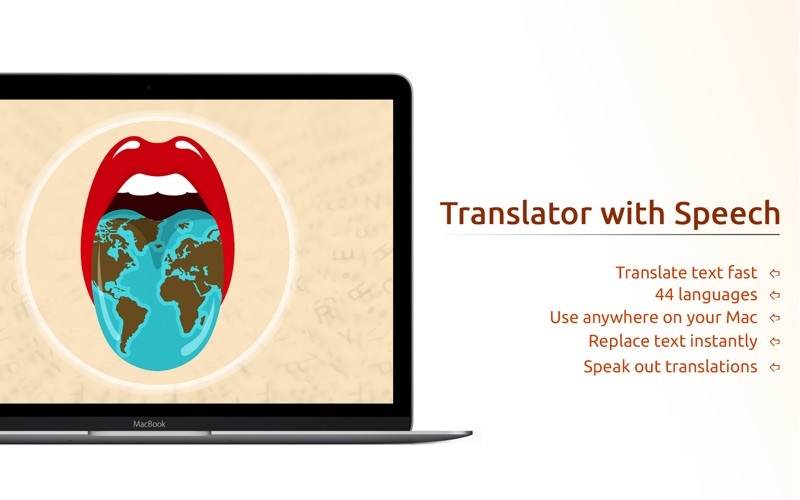 Use this cool translator to instantly translate any text into any of 44 languages! 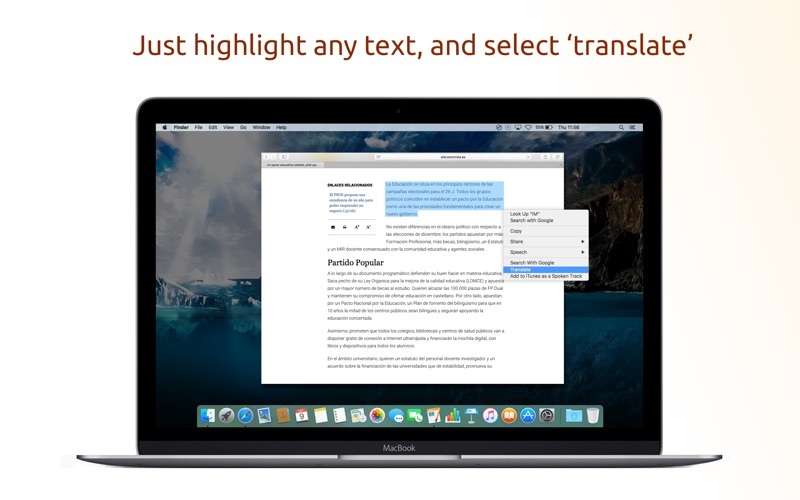 Simply highlight any text, right click and select 'translate'. The text will be translated into the language that you have selected. 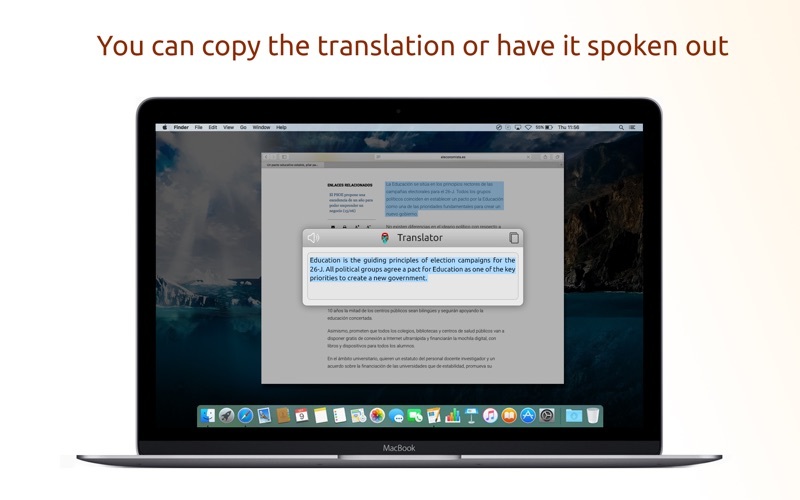 After this, you can either copy the translation to the clipboard and/or let the app speak out the text with the appropriate accent. 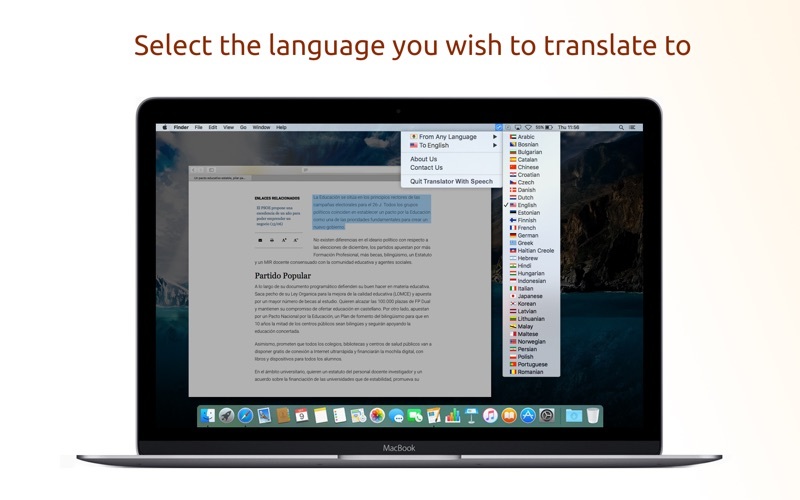 If your highlighted text can be edited, you will get the additional option to 'translate and replace', so you can instantly translate the text within the document. The app uses pleasant voices, unique for each language. Note that a functional internet connection is required for translator with speech to work. For any questions or suggestions, please contact us, we are here to help. Good luck with Translator with Speech!